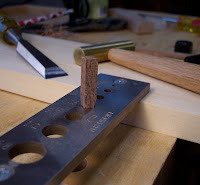 You can buy wood dowels in common species like walnut, cherry, and pine, but if you need a dowel in an uncommon species, or if you're making authentic reproductions, or you just like to try different tech niques, here are three ways to make them. 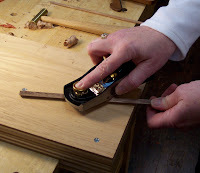 One: Use a beading plane to round over both sides of a board, then snap off the dowel. 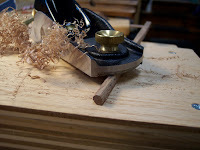 Shave the rough, snapped-off edge with a block plane or chisel. 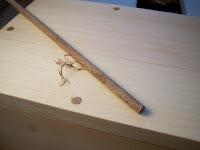 Match the thickness of wood with the diameter of the bead so the dowel is perfectly round. 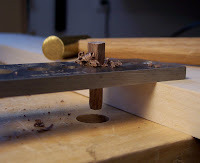 Three: Use a dowel plate (mine is from Lie-Nielsen). Make sure you cut your blank very close in size to the final dowel diameter, otherwise, it's likely to split as you tap it through. 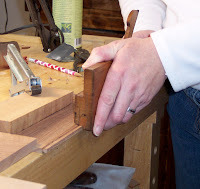 Use a chisel to taper the leading end. 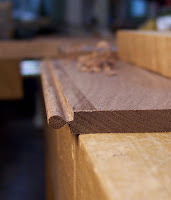 Dowel plates work best with short pieces of wood.